A quick post with a couple of new layouts. 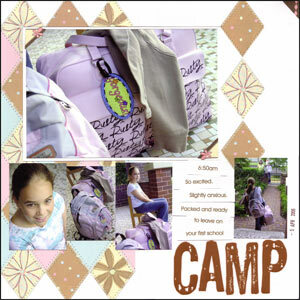 New Junkitz papers and letter stickers were used below in the "CAMP" layout, matched up with a little Heidi Swapp (the decorative photo corners). A birthday page below for the "Occasions" feature in the newsletter. 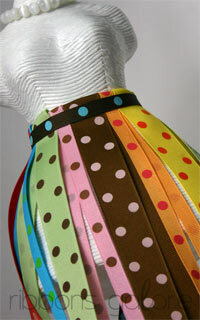 Gorgeous new Sassafrass Lass papers teamed with the Heidi Swapp birthday chipboard set. The colours worked nicely together. A bit of background to the apron. 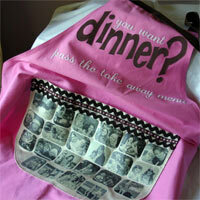 I was asked to make an apron for the Mother's Day feature in Scrapbooking Memories. That was fine, I love making these types of projects, a real break from "layout" scrapbooking, and it also incorporates one of my other crafty loves, sewing. Then I started thinking about it... an apron (to me) means cooking. The last thing I want to be doing on MY mother's day is trying to think what to cook AND actually cooking it... no way, I want to be pampered on MY mother's day (hope you are reading this, my lovely family). Anyway, I got to thinking, this could actually be a scrapbooking apron. The one I wear when I get totally absorbed in my scrapbooking, that I forget to cook dinner (and possibly even forget to buy any raw materials that could be whipped up into a quick meal). And then I started remembering, sometimes the girls have come hunting for food at dinner time (the dinner I some how forgot to cook), and I quite often say, "you want dinner? 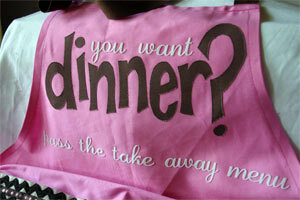 pass me the take away menu!" 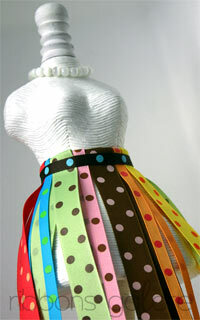 And there you have it (if you've read this far) the inspiration behind the apron. 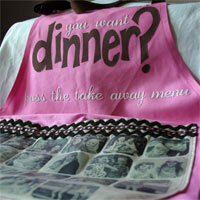 By making this apron I was having a bit of fun and I certainly wasn't implying to mother's everywhere they should be wearing the apron and popping into the kitchen. The last thing I would want everyone to think is that I will be cooking on my mother's day. NO WAY!!!! iron on transfer paper for the photos on the pocket is by Celcast. We are moving nicely through the school holidays here in the Carter household. We are well rested, even slightly lazy... full of chocolate (thank goodness we are nearing the end of the Easter chocolate supply). 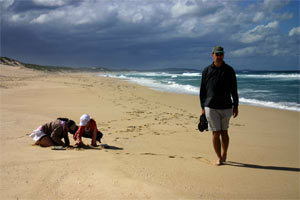 A favourite thing for us to do while we're up at Hawks Nest is to drive up into the Myall Lakes National Park. This really is one of the most wonderful places to visit; it has rainforests, giant sand dunes, huge board waters leading into the actual Myall Lakes systems, untouched beaches, just to name a few... nature at its best. A few new areas in the national part seem to have been opened up recently, making access easier for visitors. One area was a beautiful beach which just seems to stretch for ever. I'll leave you with one of my favourite photos from our time away. Look at that beach, it goes on forever, all to ourselves. Just in case you are curious about the girls, they were trying to befriend some poor little sand crab. No animals were harmed, I promise. For those of you who have visited Ribbons Galore, you may have seen Dolly around the store. Well, Dolly has a new ribbon collection in store now, which she can't stop showing off. This collection is made up of lovely soft grosgrain ribbons with printed dots and is imported from the US. 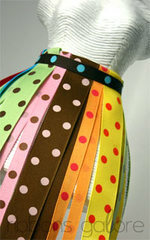 Available in a 9mm ribbon with a co-ordinating or matching 22mm width ribbon. The blog banner has a layout.... or does the layout have a blog banner? It's sort of like the old question...which came first, the chicken or the egg???? From the latest Scrapbooking Memories magazine. We spent today at the Sydney Royal Easter Show. We had a great time and have returned home exhausted!!! It was hot and it was crowded, but we still manage to have alot of fun. 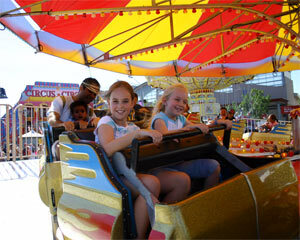 The girls enjoyed themselves, they went on a few rides and bought a few showbags. We looked at the horses and cows (unfortunately no rabbits today at the show), we gave the animal nursery a miss cause the queue was soooo long. I wandered through the Arts pavilion, which I enjoyed. We always walk through the produce pavilion, looking at the produce displays from the different regions of NSW (and SE QLD). In summery: very tired, but happy. Below is a picture of the girls as they went whizzing by on one of their rides. 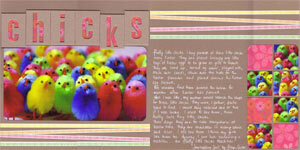 This Wednesday evening (12 April) I'm teaching a scrapbooking class at Scrapabout Australia at North Parramatta. We will be creating a double layout, with a celebration theme. The sample, which is in the store, is a birthday party page. The sample page uses nine photos from the one event, one larger photo and eight photos which can be cropped to a smaller size. There are a few spots left. Class costs $15.00 plus materials (no kit, you will be able to choose papers and embellishments to suit your theme and photos). 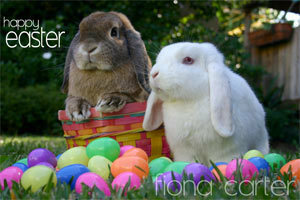 For bookings please contact the store on (02) 9630 7450. Amy Bergman is organising a charity crop day in the South Brisbane area on Saturday 13 May 2006. You can receive further details about the event from Amy (via her blog). Bookings are essential. Amy is putting together a "motherhood" album, which will be raffled during the crop day, It will be filled with layouts from lots of scrapbookers around the country. 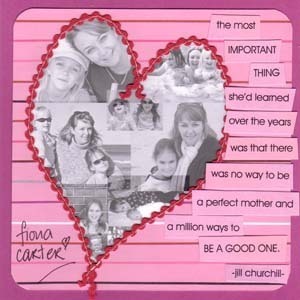 Below is my motherhood layout which I'll be sending to Amy this week. It is a 6"x 6" layout. I'm not big on quotes, but this quote one that I keep finding and always really relate to when I read it. I hope it is a successful day, Amy. Yesterday afternoon I was finally pain free for the first time since last Monday. New heavy duty antibiotics were called in on Thursday (as the original prescribed ones had done nothing all week). If the new ones didn't start working my doctor threatened to put me hospital over the weekend for IV antibiotics. Thankfully that situation was avoided, and as I said yesterday I started feeling much better. Thank you again for the lovely emails, I feel like I've been "nursed" through the week via the web!! !